We have neglected our schools financially to the point where they have become easily privatized. Republican legislators in Washington State have continually fought against funding public schools adequately, particularly Ross Hunter, who recently moved over to the state’s Office of Early Learning (more on that later), and Representative Chad Magendanz, a big proponent of charter schools. Nationally, our representatives in DC have ignored the financial requirements of funding public schools, what the real costs are, and instead are using our money to pay for endless, devastating and destructive wars that do not benefit our youth in any way, our communities, our disappearing middle class or our crumbling infrastructure. As the US military continues to try to disengage from the Middle East and draw down, the country’s defense budget continues to fall. 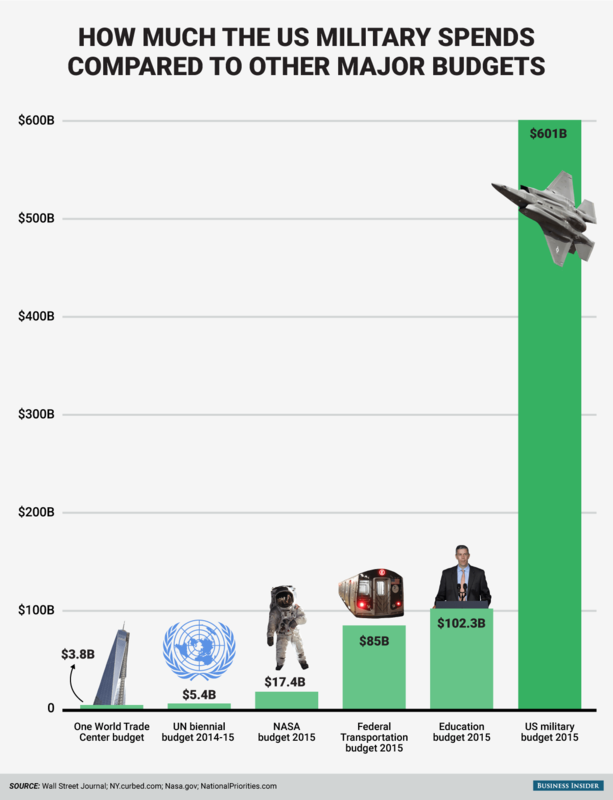 In 2015, the US’ estimated military budget is expected to be $601 billion, down from $610 billion spent in 2014. However, even with the budgetary drawdown, the US still far outspends the next six highest spending nations. 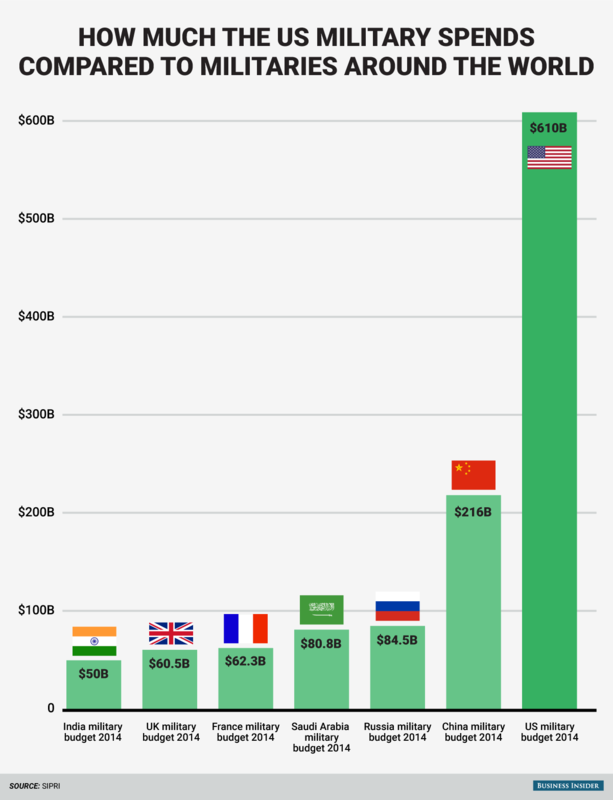 According to the latest information from the Stockholm International Peace Research Institute, the US budget dwarfed military spending of the next six highest spending countries. China, which had the world’s second largest military budget, spent just over a third of what the US did in 2014. The US’ military budget is reflected in the country’s assumed international responsibilities. The US is the leading economic and military power in NATO. As such, the US made up approximately 2/3s of NATO’s entire defense budgetdespite the presence of an additional 27 countries in the organization. 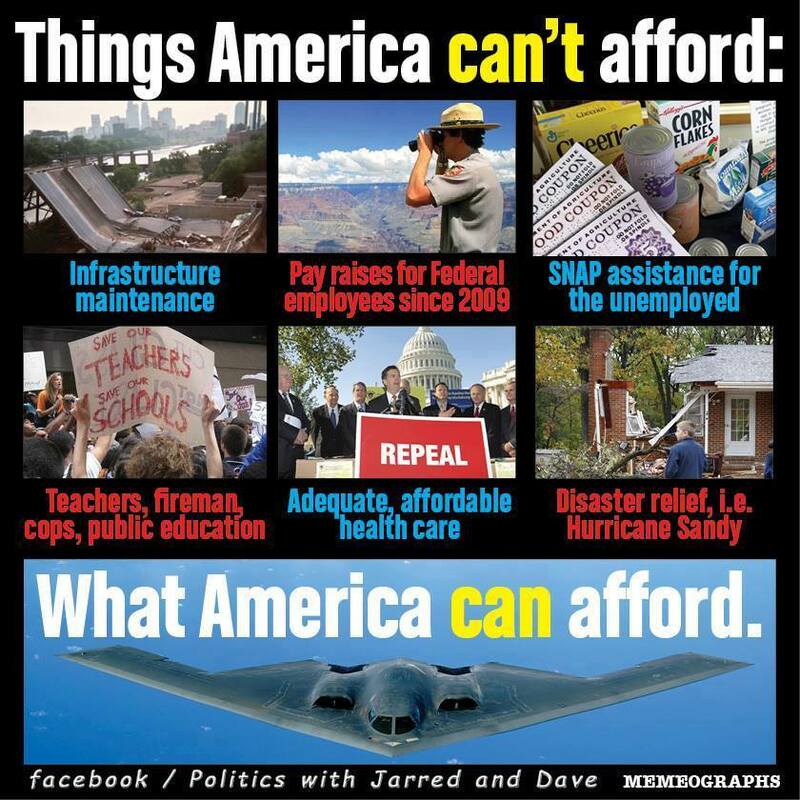 The military budget is by far the largest single cost displayed. It is almost six times larger than the 2015 education budget and it is more than 34 times the size of NASA’s 2015 operating budget. In total, the costs of running the military amount to approximately 16% of the overall 2015 US budget.